These last two chapters of Malachi and the ending to the Old Testament have a great deal of importance. First we learn that God does not change; He is the same yesterday, today, and tomorrow. He will never change, period. Secondly we learn that God has a marvelous plan for us all, he sent a messenger before the coming of His son Jesus Christ to die for all our sins, so that we could return to live with our Heavenly Father [God] again. God reminds us of the importance of paying a full and HONEST tithe and offering. This of course means 10% of our gain, whether we work for it or it be given to us, it is a gain. What exactly are the records of our dead? It is GENEOLOGY! It is FAMILY TREES! But on a personal level it is a journal or journals. I think the Lord has made it clear that we need to keep a written journal of our life. When we come before the Lord in that Day of Judgment we can present him with our written journal of our life. However, while we are still here on the earth we can keep a record of our life to hand down to our family to keep as part of the genealogical records. 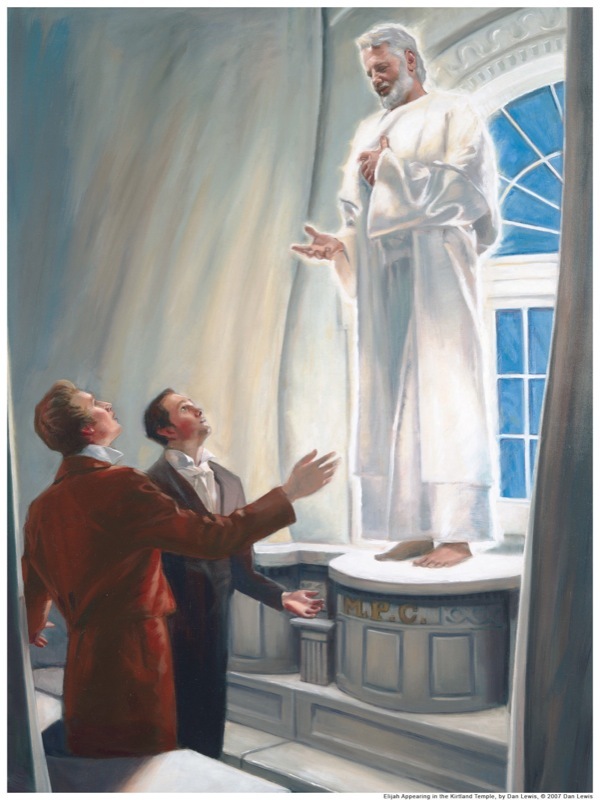 Finally in the last two verses of the Old Testament we learn of Elijah and how he will come in the “…great and dreadful day of the Lord: And he shall turn the heart of the fathers to the children, and the heart of the children to their fathers…” (Malachi 4:5-6) In a vision by Joseph Smith and Oliver Cowdery on April 3, 1836 in the Kirtland Temple, Elijah CAME! Elijah restored the sealing power and gave Joseph Smith the keys of the final dispensation. With these keys the hearts of the fathers and children can be sealed together. Families can now be brought together forever through the sealing powers of the Temples of the Church of Jesus Christ of Latter-day Saints, which is the Restored Church of Jesus Christ. We are commanded to pay tithes and offerings and the Lord rebukes his people by asking them; “Will a man rob God? Yet ye have robbed me, But ye say, Wherein have we robbed thee? In tithes and offerings. Ye are cursed with a curse: for ye have robbed me, even this whole nation. Bring ye all the tithes into the storehouse, that there may be meat in mine house, and prove me now herewith, saith the Lord of hosts, if I will not open you the windows of heaven, and pour you out a blessing, that there shall not be room enough to receive it.” (Malachi 3:8-10) God has been robbed by the withholding of tithes and offerings. He makes it very clear that we are to pay our tithes and offerings! In the LDS church we pay 10% of our gain to the church as tithes and then once a month we fast for 24 hours, and the money saved from not having those meals is donated to the church in the form of “offerings”. These offerings, which often times are more generous than just 3 meals are used to help members and non-members in everyday need of food, clothing and shelter. The KEYS of the FINAL DISPENSATION (A dispensation is a time when God has an authorized prophet on the earth) were given to Joseph Smith as a Prophet in these Last Days by the Prophet Elijah! The Old Testament told us that Elijah would come again, and he did! How glorious is that? The words of the prophet Malachi are fulfilled! With the keys of the final dispensation the hearts of the fathers and children can be sealed together through the temple. Families can be together forever with this sealing power that was given to Joseph Smith by Elijah and passed down all the way to the current Prophet of God’s Restored Church: The Church of Jesus Christ of Latter-day Saints. This entry was posted in Malachi, Old Testament and tagged 110, Cowdery, Days, Dispensation, Doctrine and Covenants, Elijah, Families, Forever, Fullness, God, Jesus, Jesus Christ, Joseph Smith, Last, Lord, Malachi, Old Testament, Oliver, Sealing, Temple, Times, Together, Vision. Bookmark the permalink.